If you follow me on GAB, you probably already know what I'm going to say because I document these threats on a daily basis. If you don't, you should follow me at https://gab.ai/TimGamble. There are three interrelated existential threats* to America and Western Civilization. 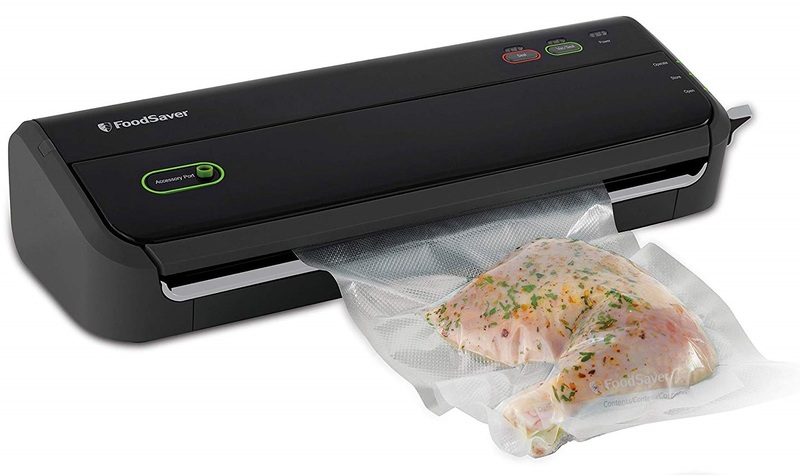 These threats all have the potential to end the world as we know it, replacing it with something far worse. 1) The Internal Threat - Western Elites (aka Globalists, the Ruling Class, the 1%, the 2%, etc.) want to destroy America and Western Civilization to create their version of utopia (for them). They believe Western Civilization and culture is bad, that America in particular is evil, and that Judeo-Christian values and ethics are too restricting (for them). They hate capitalism, even though they have greatly benefited from it. They look down on the lower and working classes with great disdain (we are uneducated, unsophisticated, vulgar...). The Elites want to create a world with no borders (for them), where they are basically global citizens unrestricted by normal laws and ethics. They desire a large underclass (they need workers), only a small middle class (they need a few working professionals), and an upper class made up of themselves and their fellow elites. An elite class who, by virtue of their obvious superiority, have absolute rule over the lesser classes. Over the decades, the Elites have already done great damage to traditional Western Civilization. The introduction of centralized banking & fiat currency is one example. Destroying traditional Western education is another. Current attempts to restrict Free Speech and Free Press comes straight out of the Elites desire to control the lesser classes, as does their desire to eliminate the Second Amendment and greatly restrict parental rights. The attempt in recent decades to recast the broad Freedom of Religion our Founders gave us into the much more narrow Freedom of Worship is very much a part of their attempts to overcome traditional Western Civilization (see my article on the difference between Freedom of Religion and Freedom of Worship). The Deep State, made up of powerful career politicians and bureaucrats, along with their corporate allies, have sold out to and work for the Elites. 2) The Hijra (Conquest by Immigration) - The active invasion of Western Civilization by Muslims through "peaceful" immigration, along with increasing demands for various accommodations, special legal status, and the acceptance and even imposition of Sharia Law, is both intentional and well-organized. Add to this the much-higher birth rates of Muslims compared to native Westerners, who have been convinced that large-families are a bad idea, and you have a situation where Western civilization is slowly dying. This stealth invasion by immigration is being fostered by Western Elites, and political correctness, which have become so anti-Christian, anti-capitalism, and anti-traditional values, that they are willing to allow anything that might bring down traditional Western Civilization, so they might re-make it to their liking. 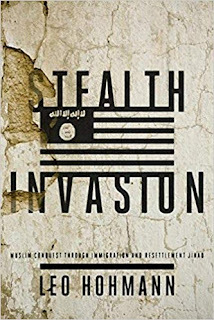 See the book Stealth Invasion: Muslim Conquest Through Immigration and Resettlement Jihad, by Leo Hohman, and Modern Day Trojan Horse: Al-Hijra, the Islamic Doctrine of Immigration, by Sam Solomon and Elias Al Maqdisi, for more on this topic. 3) China - The current trade war with China is only a prelude to what is coming. China is preparing for an inevitable "hot" war with America within the next 5 - 10 years. China is convinced this war must happen because of a concept known as The Thucydides Trap (google the term to learn more). The Thucydides Trap isn't some conspiracy theory twaddle, but is a well-studied historical concept heavily discussed in academic and diplomatic circles. Very simply, the Thucydides Trap states that when a rising great power (China, in this instance) threatens to displace an existing great power (America), war that will likely lead to the destruction of one of the great powers is almost always inevitable. The Chinese are very aware of this concept, and are making policy based on it. It is the basis of their ongoing massive military build-up, as well as their interference in North Korea (the Chinese have always assisted North Korea with their nuclear and missile programs, and are pushing Kim Jong-un to stall in regards to his promised denuclearization). It is also part of the reasoning behind their aggressiveness in the South China Sea (control over vital trade routes), and economic & diplomatic push into South America and Africa (the later which includes a growing military presence), to obtain various resources. If you have doubts about any of these three existential threats, just pay close attention to current events for a few weeks. Also, as mentioned above, I do document these threats on a daily basis on my GAB account. We can prepare for these threats. Building our self-reliance and removing ourselves from dependence on the current worldly system as much as possible will go a long way in protecting ourselves and our families. But this doesn't mean hiding from the world (please read my short article Being a Prepper Doesn't Mean Hiding From the World) and not fighting the forces threatening us. *For those who might not know, an existential threat is something that threatens our very existence. An existential threat, if it becomes reality, would literally be the end of the world as we know it (TEOTWAWKI). The Earth being hit by a large asteroid is an obvious existential threat, but one that is highly unlikely in the near future. Besides, there is little we can do to prepare for that threat. However, the existential threats I outline in this article are real, are happening now, and are events we can prepare for and survive. Stealth Invasion: Muslim Conquest Through Immigration and Resettlement Jihad, by veteran investigative journalist Leo Hohmann, documents a well-defined strategy for conquering America, not necessarily with violent jihadist attacks, although we should expect those to increase, but through more subtle means collectively called "civilization jihad."